Plywood is in great demand. 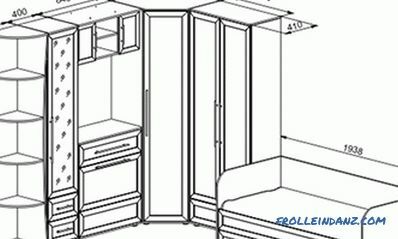 It is used for a variety of purposes: in the manufacture of furniture, in construction. 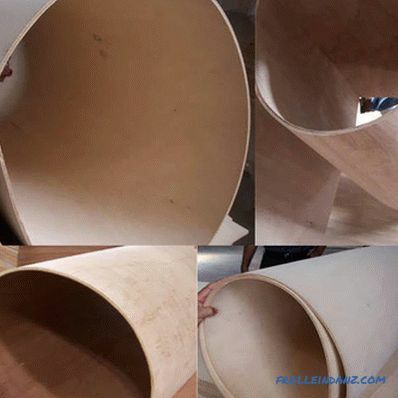 If you pay attention, then a large number of parts made of plywood, are curved. Can this be achieved at home? Yes! 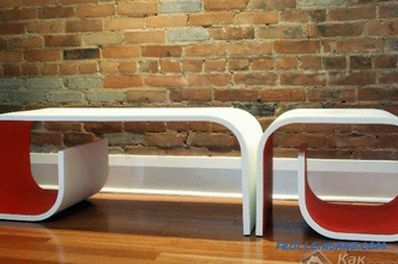 There are several ways and technologies to bend plywood, which will be discussed in this article. In this case, we will pay attention to how to do everything with your own hands. In hypermarkets you can buy ready-made curved plywood. But its thickness will be no more than 4 mm. 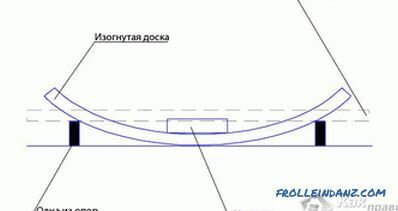 It will be an excellent option for the manufacture of the arch. 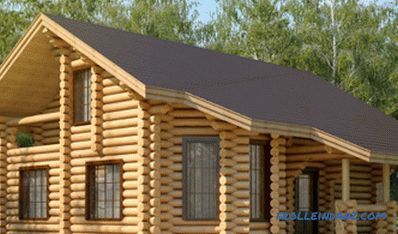 You can find Chinese flexible plywood, which perfectly combines price and quality. If such options do not suit you, then you have to make a bend yourself. In order to bend the thicker plywood, it will take an effort. There are several types of technologies: for example, steaming, bonding, notches and not only. It is worth noting several positive aspects of this building material. The price of plywood is quite acceptable. It is used for the manufacture of various non-standard designs. 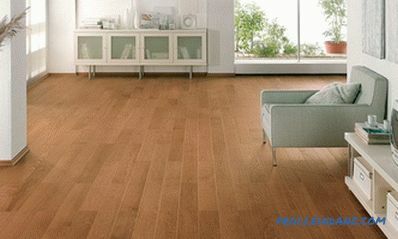 Moreover, plywood is a material with which even a non-professional can work. 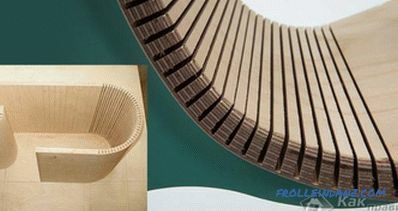 The most important thing is to understand the manufacturing technology of curved plywood surfaces. This will be discussed further. It is easier to work with plywood of the smallest thickness. But do not forget that for the manufacture of banal arch will require plywood thickness of 10 mm. It will take effort to bend such a “puff”. Each layer of veneer is located at a different angle. This is due to in order to give the product strength, as well as resistance to bending. In special workshops, plywood bending is very simple. It is completely soaked under steam, and with the help of a special vice, the necessary shape is curved. This method can also be used at home. To do this, you should properly use steam from a boiling pot or kettle. Some use household irons, which are able to produce steam. Given all these nuances, it is important to understand the following. Plywood, as well as, in principle, all wood cools very quickly. 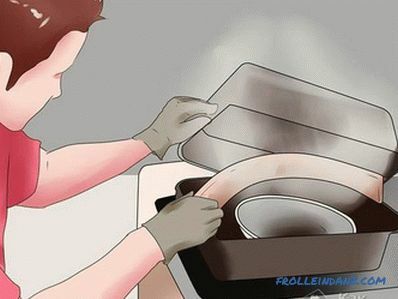 Using the steaming method at home is extremely difficult to achieve uniform heating of the sheet. Therefore, this method will be relevant for small workpieces. A sheet of plywood at home can be steamed over boiling water in the tank. It is important that steam be supplied continuously. There is another method that involves soaking plywood in a bath. Soaking time directly will depend on the complexity of the bend and the thickness of the sheet. For example, if bakelite plywood, it will take less time. If it is bakelized, then it will take more time. When soaking in water with a temperature of 60 ° C, the soaking time is increased up to 2 times. When soaking in water with a temperature of 15-30 ° C, the period increases by 20 times. After the soaking time, the plywood must be fixed to a template and good fix. Wait until dry. If the bending is carried out across the fibers, then the bend will be as large as possible. 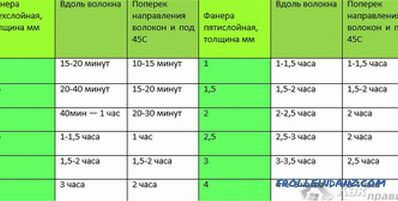 If you decide to do this operation at home, it is better to combine hydration with steaming. Steaming is performed directly at the bend, and the upper layer of veneer is moistened. If you go back to the method of soaking plywood in a bath with water, then after the water procedure, plywood will be quite elastic. There is one danger! There is a very high probability that the plywood may become delaminated. 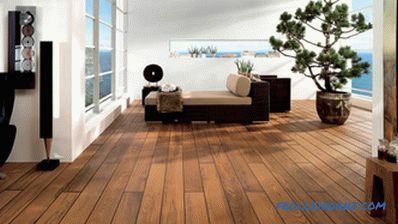 Therefore, for starters, it is best to try on a small piece of plywood so as not to spoil the entire future structure. Plywood of required thickness is soaked in the bathroom. Every five minutes it is checked for its elasticity. If after thirty minutes the plywood bends easily, then the procedure should be completed. Next, the softened part is installed in its place, while it must be secured with a self-tapping screw. 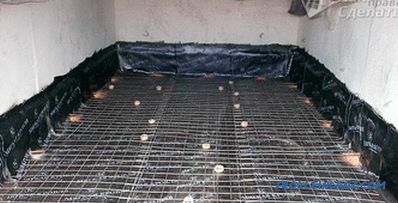 After complete drying, the fabrication of the required construction can be continued. Here is such a simple and primitive method of bending plywood under the action of moisture. If you need to bend plywood with a thickness of 16 to 22 millimeters, then the cutting method is the most effective.This will require a cutter. She cuts in the intended place of the bend. The depth of the notch should not exceed half the total thickness of the workpiece. The incision should also reach the veneer, which is located in the opposite direction, to the extent that it does not break. If on the one hand the angle is needed by the other, then cuts in these places are made in another width. According to this principle, plywood is curved to make a boat. Next, the bent workpiece is clamped on a form, on top of which a sheet of veneer is glued. The drying period can take twenty-four hours. As an adhesive, you can use PVA or epoxy. It is permissible to glue this or that detail both inwards and, conversely, in notches. If the notches are outside, then voids can form. To make plywood look curved , a piece of "pattern" is cut from a thin sheet of plywood. It is laid on a sheet in such a way that the direction of the veneer alternates. As a result, the structure will have the necessary ductility and rigidity. Each layer of plywood is glued with epoxy glue. To shape the workpiece clamp clamps for one day. After drying, all irregularities and loose glue are removed from the part. Upon completion, the workpiece is ground. One of the complex structures that can be made of plywood is an arch. Often there is a need for several visits on macerating plywood. Especially if you have not yet achieved the required angle. With any of the above methods you can bend the plywood. If you decide to use the soak method, then you should take care of the template first. Having fixed the part on the template, you definitely do not have to redo everything again. Make this template easier than ever. To do this, take the rail of the same length as the length of the part. Then cut several pieces of chipboard and secure them with slats. The number of such fragments will directly depend on the length of the sheet being bent. Then, on the already finished frame, fix the plywood puff with screws and wait for it to dry completely. For successful work it is important to remember a few nuances. The bend radius across is much smaller than the length. Already bent parts store in a room in which low humidity up to 10%. If you choose the steaming method, then such structures should be bent when they are still warm. An important factor is the company that manufactured this sheet of plywood. Perhaps they can bend the plywood under the desired angle. Especially, this service will be useful if you do not want or are afraid to spoil the material you bought. So, we looked at different methods with you. Most of them are simple and can be easily implemented even at home. You all must succeed. Share your comments on the experiments performed on plywood bending.